Cellular data is all well and good when it works, but maybe you're in an area with spotty coverage, or perhaps you are traveling in a foreign country. 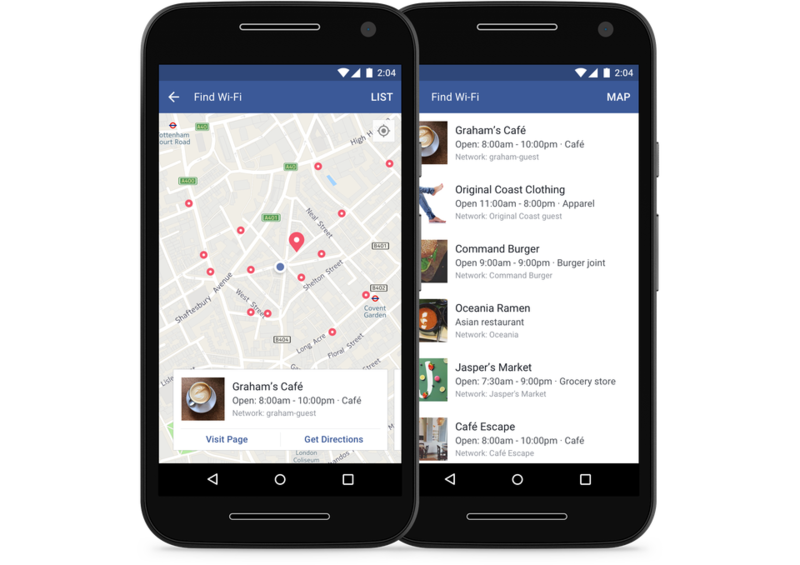 That's when you need some WiFi, and now Facebook would like to help you find it. The "Find WiFi" feature that was being tested in a few countries is now rolling out globally. You will see the Find WiFi option under your More tab in the Facebook app. Find WiFi brings up a map with your location marked, then shows you where there are known WiFi hotspots around you. Tapping on one tells you about the business that provides the WiFi and what its hours are. There are also buttons to view more info and get directions. This feature is available today for everyone, on both Android and iOS. It doesn't appear to exist on the mobile web version, so you'll need to have the actual Facebook app installed.